Sweet Puppy Love is located on beautiful NSW South Coast - few minutes drive from Jervis Bay and about 20 minute drive from Nowra. If you live within driving distance, we welcome you to come to pick your puppy directly from us. Or we can organise a meeting point and deliver the puppy to you. There is no extra cost for delivery to Sydney or South Coast, if this can be done on one of our regular days. If your schedule is strict and you need your puppy delivered on a different day, a fee of $150 may apply. We would love to discuss all the options before picking up your puppy. If you live further away and need your puppy flown to you interstate, we are happy to arrange this for you. We understand that you maybe nervous and have questions about the delivery or flying your new puppy to you. Please be assured that we have flown puppies around Australia (and overseas) many times and know from experience that they handle it very well. We deliver the puppy to the airport from whereon experienced animal handlers take over all the way until you meet your new puppy at destination. Your puppy's welfare is most important to us. 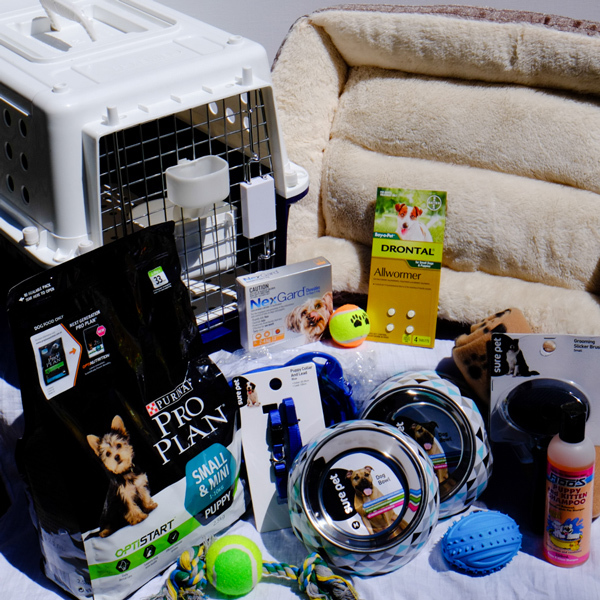 If you are unable to meet your puppy at the airport, or for other reasons wish to organise a delivery of your new fur baby from our door all the way to your front door - ANYWHERE IN AUSTRALIA. If you are interested in this service, please contact us for a quote.